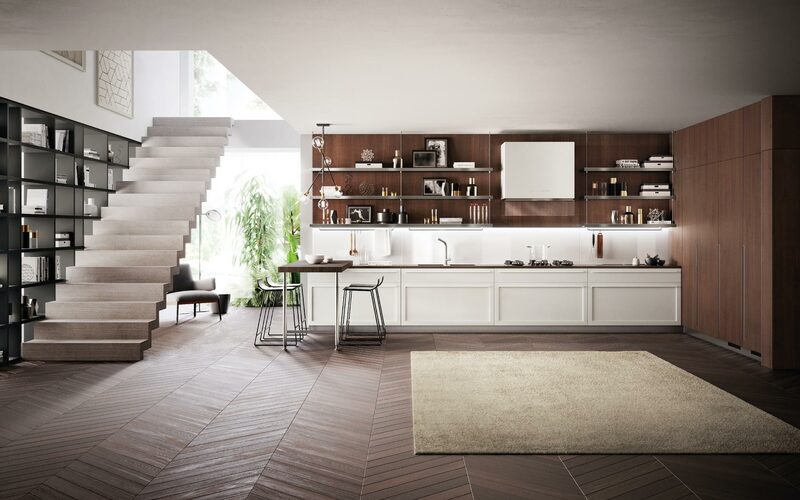 Scavolini is Italy’s leading kitchen brand known for modern and contemporary kitchen designs. 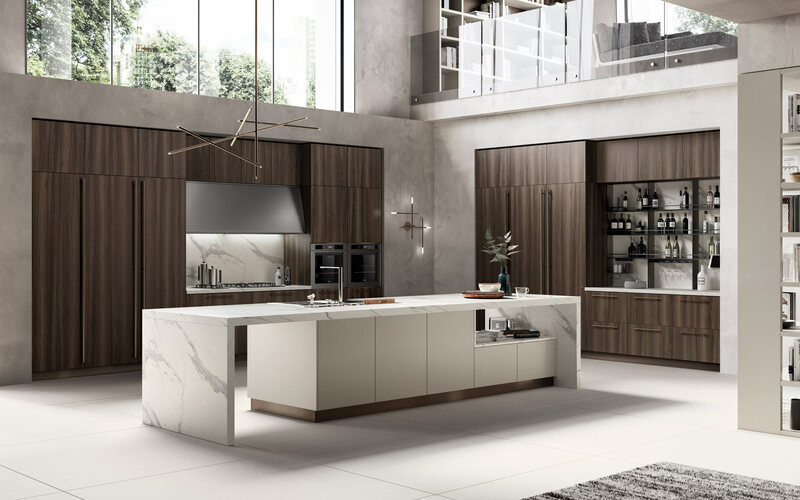 With over 60 years of excellence in design and manufacturing, our globally award winning designers deliver high quality materials with exclusive finishes to create spaces that are both stylish and functional for you to enjoy. Our designers will work closely with you to create a design that best suits your needs and desires! Grey tempera lacquered oak structured on several levels. A monochrome composition for expressing personalities that are more subtle but still vibrant and exciting. 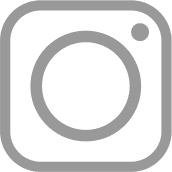 Motus is also marked by its sophisticated chromatic range. 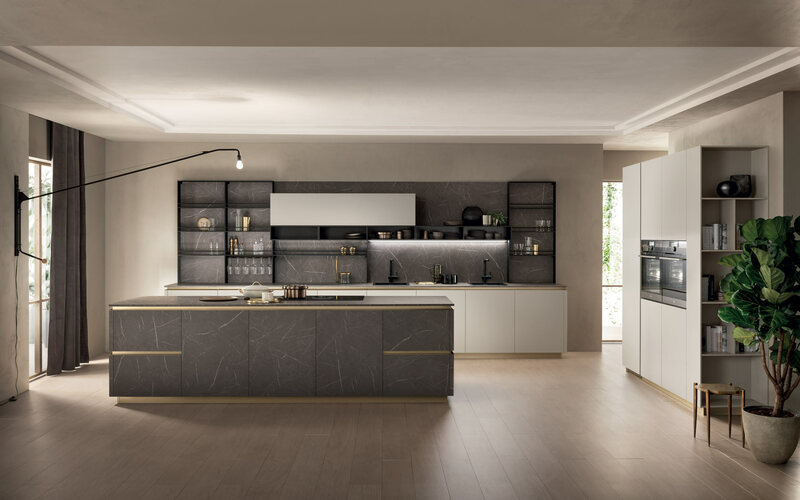 The vast range of available colours (trending tones that go from Prestige White to Iron Grey to Slate Black) also include a gloss lacquer finish in Sun Yellow, chosen for this composition to set off the peninsula and back panels. Instead, Navajo Elm Decorative Melamine is used for the cupboard and Pure White melamine for the “Fluida” wall system structure. 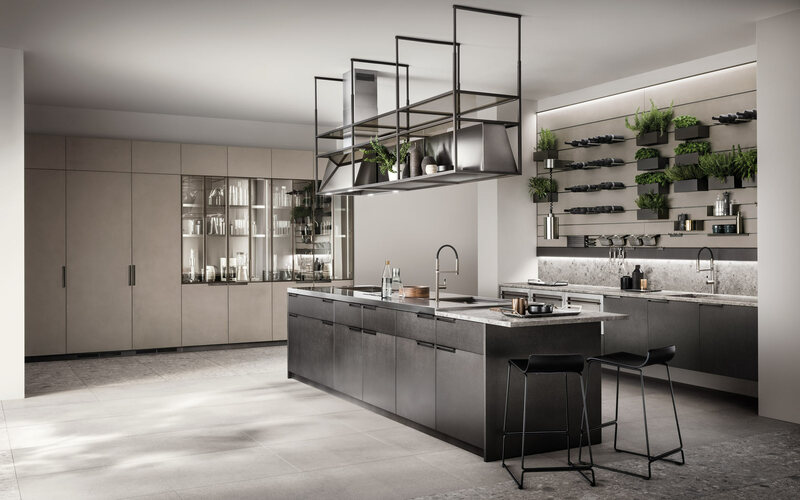 Carattere is an elegant, meticulous yet sophisticated model: the frame door is the model’s signature, a type of door designed to bring together classical proportions and contemporary, clean-cut shapes. 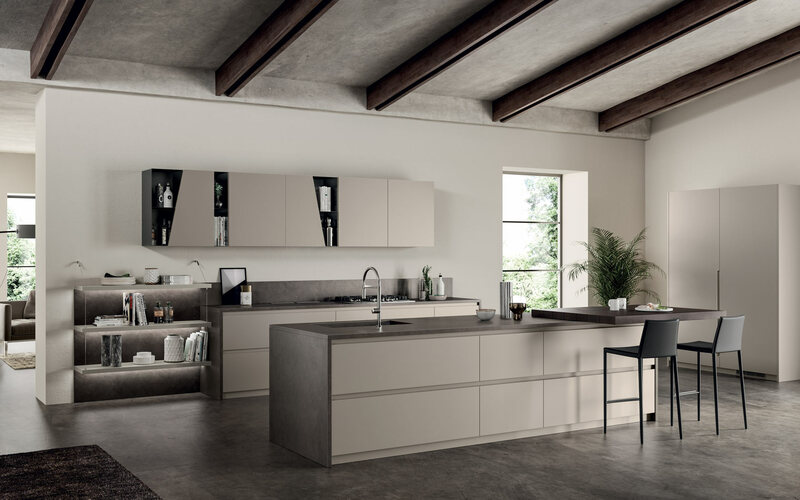 The Foodshelf model guarantees all the room needed for working in the kitchen by means, for example, of the functional, tough worktops available in a wide assortment of materials and baskets fi tted for convenient storage of utensils.The door features unusual shaping for easy opening of base units. 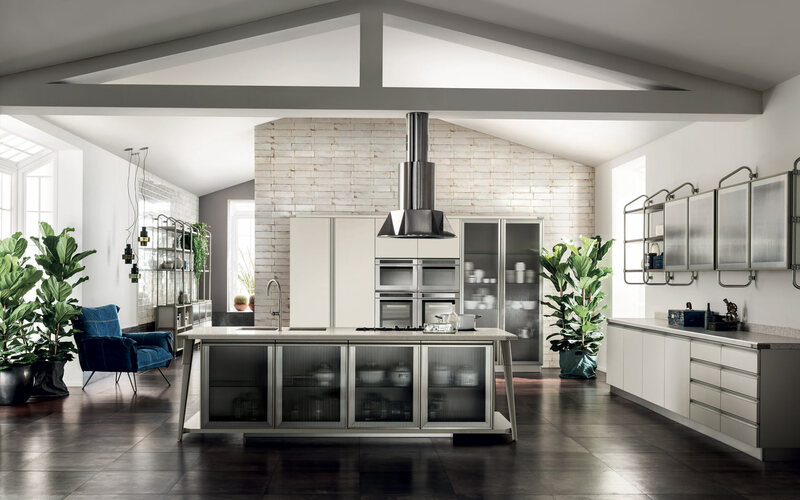 You will receive the latest Scavolini catalog with your confirmation email.